Davis Industries, Inc. would like to earn some of your carrier business. Here at Davis it’s all about the superior service we provide to our customers. It’s our mission and policy to have a trucking operation that is safe, clean, and reliable with 24 hour, 7 days a week availability to serve our customers. Competitive pricing and quality service are standards that our existing customers have come to expect. We also offer discounts for the first month of service. Our dependability is second to none. We have our own fleet of trucks based in Lynnwood that run 24 hours a day, providing product to you and your customers when you need it. 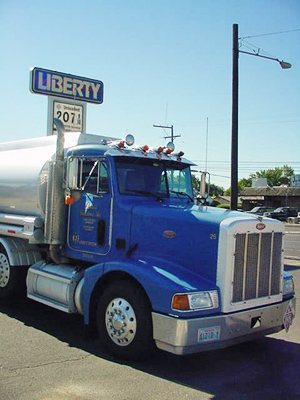 After reliably delivering your fuel we follow up with clear and concise billing. If you are interested in our services we have a friendly and courteous staff here to serve you. If you have any carrier needs at all please call us for a copy of our freight rates.